During the late fourteenth and early fifteenth centuries Sir John de Cobham, Sir Thomas Langley, and other benefactors endowed the Wardens and Commonalty of Rochester Bridge with lands in London, Essex and Kent. This included a block of tenements on Leadenhall Street and Shaft Alley in the London parish of St. Andrew Undershaft, the manor of South Hall in East Tilbury, the manor of Rose Court on the Isle of Grain, the manor of Langdon near Faversham, the manors of Nashenden and Little Delce in the parish of St. Margaret’s, Rochester, farms in the parishes of Dartford and Frindsbury, Eastwick Marshes in the parish of High Halstow, and various wharves, inns, and tenements in Rochester and Strood. The Bridge Wardens used the income from these properties to repair and maintain Rochester Bridge. The Rochester Bridge Trust estate remained virtually unchanged from medieval times until the late nineteenth century, when the Charity Commission granted the Wardens and Commonalty powers to buy and sell land. Although some of the properties have since been sold and new investments made in their place, including further agricultural land in Burham and Cooling, much of the original endowment still remains. Over the centuries the administration of these ancient properties generated an extensive run of estate records and financial accounts unbroken since the sixteenth century and stretching back to the first parchment account roll dated 1390-1391. In 2007 David Ormrod, Professor of Economic History at the University of Kent, received a grant from the Economic and Social Research Council to research historic rents in London and the South East. 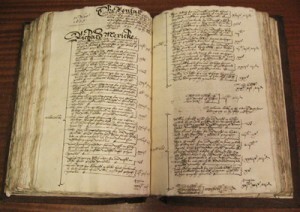 The estate records in the Rochester Bridge Trust Archive provided the raw data, and Phase I of the City and Region Project extracted from the account books and leases the rent and acreage for each property for each year from 1577 to 1914. In 2010 the Rochester Bridge Trust funded Phase II of the City and Region Project, which digitised the estate maps and building plans relating to these properties and incorporated both the images and rent data in a website. Currently, the City and Region website includes estate records from two landowners – the Rochester Bridge Trust and The New College of Cobham – and rent data, estate plans, and building plans from additional landowners will be added in Phase III. The Rochester Bridge Trust estate records are also included on this site. Rent totals from 1577 to 1914, displayed both as tables and as charts, give the data totals for urban and rural rents and for agricultural, industrial, commercial, and residential land use. 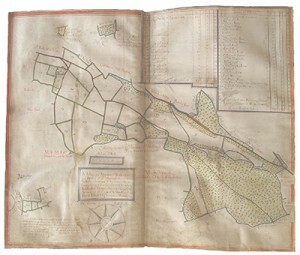 The map showing the estate locations leads to a description and historical summary of each property. From there visitors can access the individual property rent charts and the rent tables that give arrears carried forward, rent assessed, rent collected, arrears added, arrears carried forward, acreage, and rent per acre for each property for each year. They can also view the names of tenants and occupiers or explore the detailed, zoomable images of building plans and estate plans. 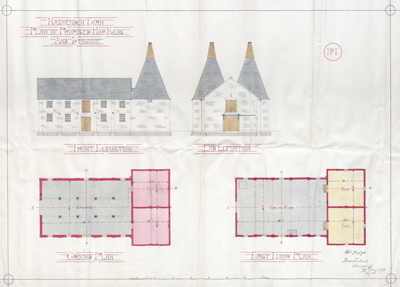 At every stage links to the archive catalogue provide further information about each property.